An Appreciation of Marilynne Robinson's 'Absence Of Mind' : 13.7: Cosmos And Culture Can scientists go too far in their claims? Yes, says Pulitzer Prize winning novelist Marilynne Robinson, especially when it relates to their criticisms of religion. Scientists shouldn't preach science as the only viable way of life. "Yes," says Marilynne Robinson, the Pulitzer Prize winning author of Gilead, in her essay Absence of Mind, based on the Dwight H. Terry Lectures she delivered at Yale University in 2009. "The clutch of certitudes that, together, trivialize and discredit are very much in need of being looked at again." This, in a nutshell, is the crux of her argument: Science paints a wonderful picture of the world, but a necessarily incomplete one. To reduce everything to science and its methods impoverishes humanity. We need cultural diversity and that includes the culture of religion. What makes some scientists so sure of their science? The practice of science, after all, relies precisely on uncertainties; a theory only works until its limits are exposed. In fact, this is a good thing, since new theories sprout from the cracks of old ones. For science to advance it needs to fail. The truths of today will not be the truths of tomorrow. "... is it reasonable to debunk the myth of the Noble Savage by pondering any twentieth-century society, however remote and exotic? We can have no knowledge of their history, so we cannot know if what appears to us as primitivity is not dispossession and marginalization ... I hold no particular brief for the notion of primal innocence, yet neither am I content to see so defective a case made against it." In 2006, Robinson wrote a scathing review of Dawkins's The God Delusion for Harper's Magazine, "Hysterical Scientism: The Ecstasy of Richard Dawkins." "So bad science is still science in more or less the same sense that bad religion is still religion. That both of them can do damage on a huge scale is clear. The prestige of both is a great part of the problem, and in the modern period the credibility of anything called science is enormous. As the history of eugenics proves, science at the highest levels is no reliable corrective to the influence of cultural prejudice but is in fact profoundly vulnerable to it." "It is diversity that makes any natural system robust, and diversity that stabilizes culture against the eccentricity and arrogance that have so often called themselves reason and science." Frontal attacks on religion and its practices will only produce more animosity. Fundamentalism leads to further entrenchment, not to conciliation. Perhaps a better approach is to teach science as it truly functions, constantly engaged in a two-way exchange with the culture of its time. 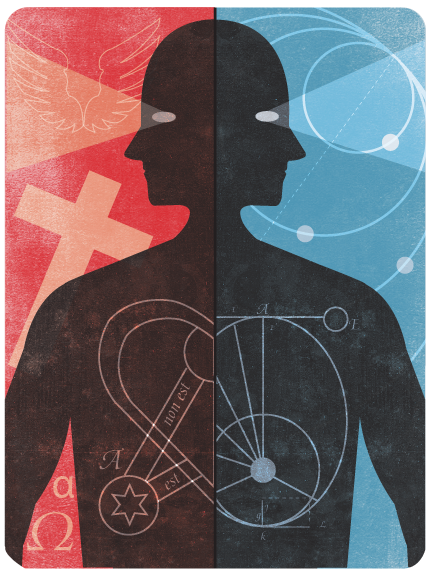 Much of science and religion spring from the same human desire to find meaning and direction in life. I welcome Robinson's call for humility and self-criticism in the sciences. And hope that radical religious leaders and theologians would do the same.